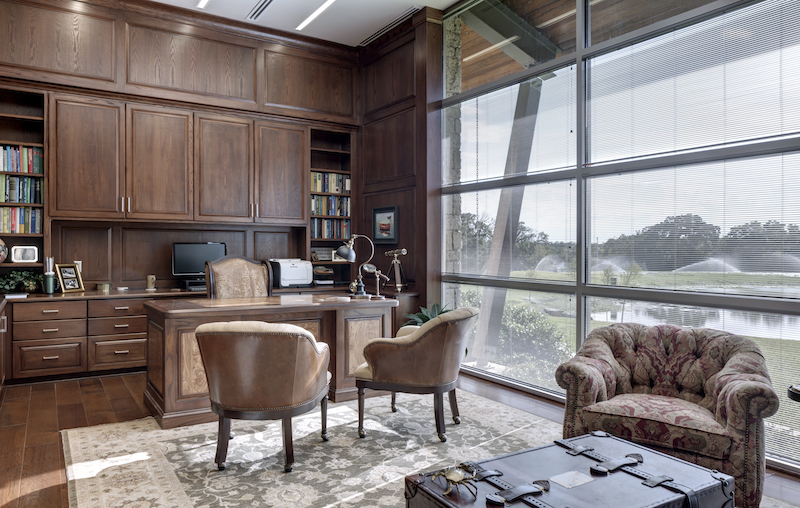 The relationship between The Arkitex Studio and TDI-Brooks began with conceptual master planning for a 53-acre campus near Wellborn (annexed into College Station during the project). A large warehouse/shop structure was Phase One. Phase Two included office and laboratory buildings. 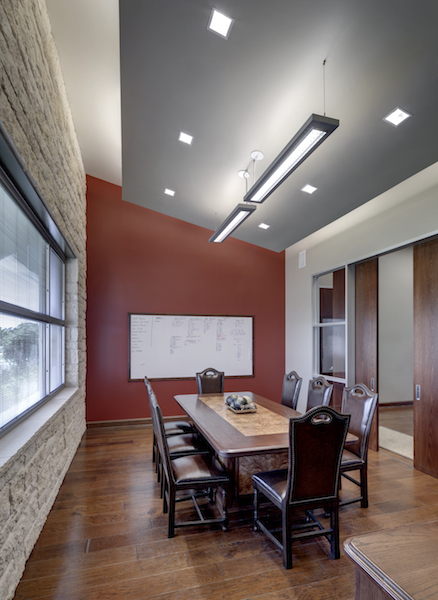 The office has a modern architectural character rooted in Texas vernacular. 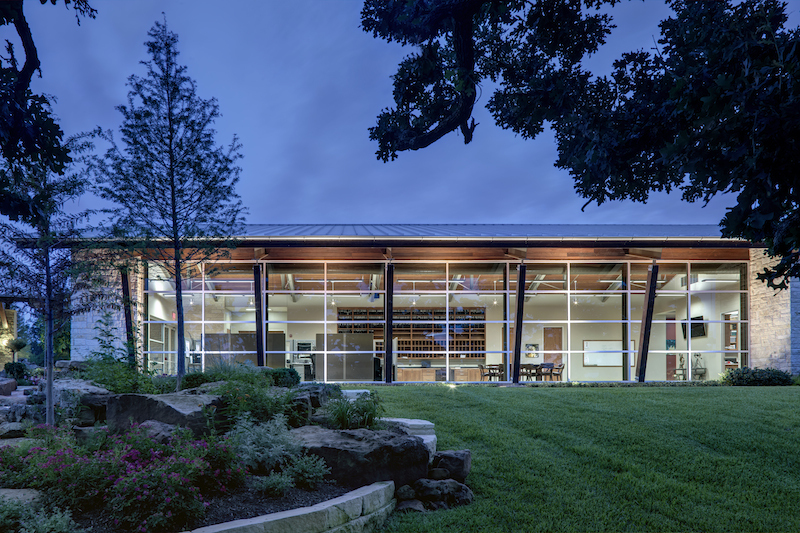 The exteriors feature clean lines, simple massing, and wide overhangs protecting a maximum of soft green glazing. 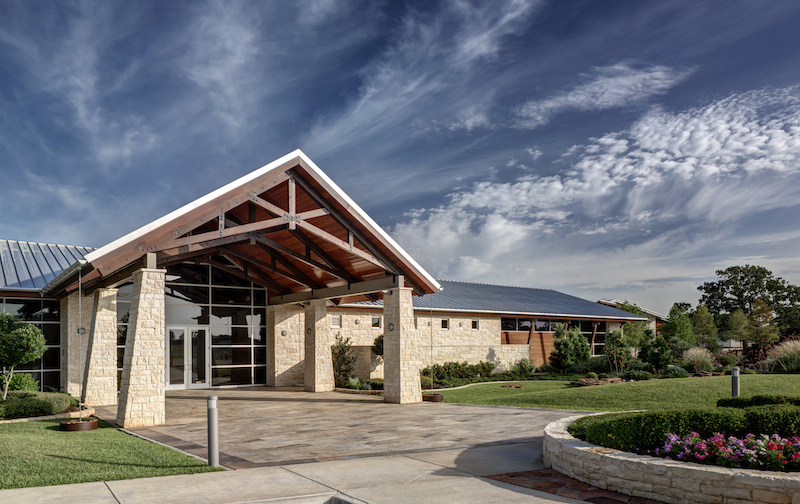 Exterior finishes are a textural contrast of limestone, dark wood finishes, and a galvanized metal roof. 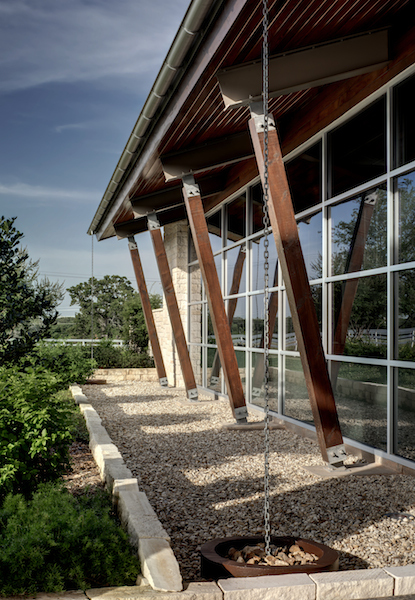 Leaning timber support posts and a scissor-truss covered entry add dynamism to the composition. 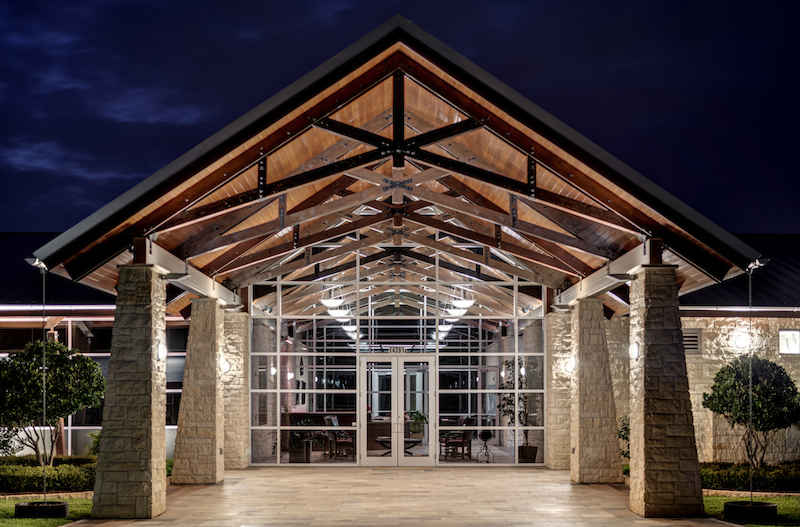 The prominent cross-gable entry element extends through the entire building to a rear covered entertainment pavilion. 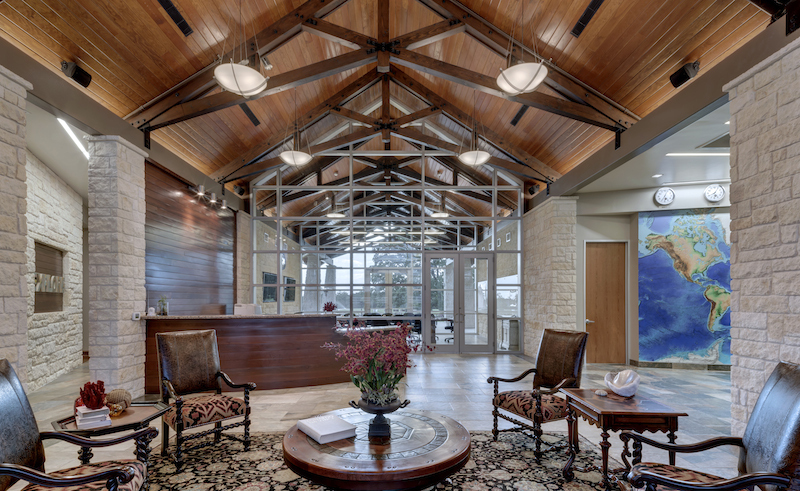 In between, the wood ceiling finishes and timber trusses link outside with inside, culminating in a transparent conference space. 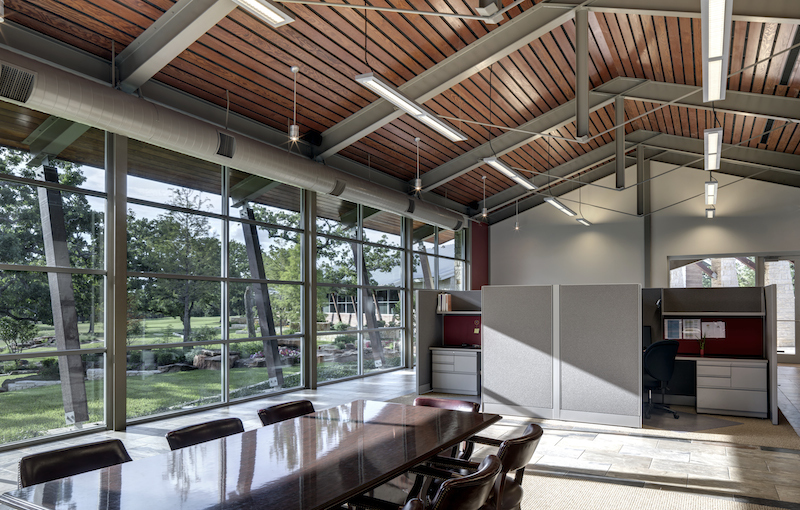 The Arkitex Studio, based in Bryan-College Station, designed a curved link with a “flying” roof between the office and lab buildings. 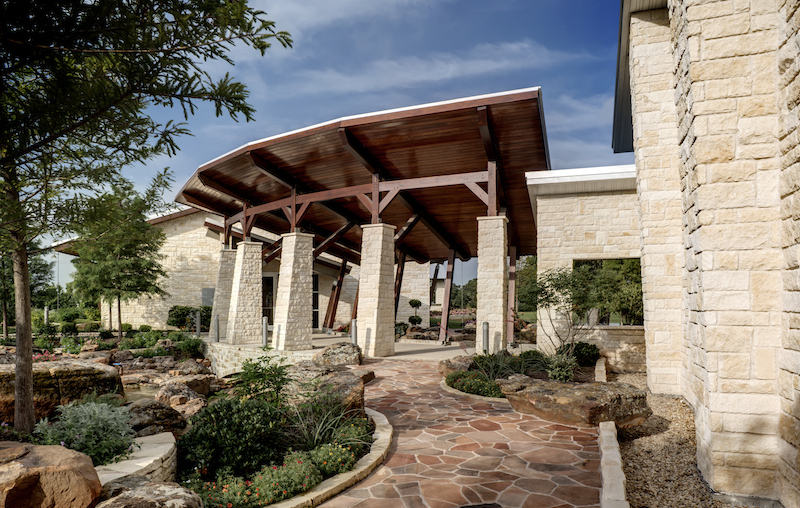 This architectural element, combined with a visually striking landscape, accents the multipurpose facility both in front and behind, down to the very edge of the lake. The lab facility, the office’s “sister” building has similar architectural treatments. The interior is lab-specific, including workspaces, offices, and storage areas for secure chain-of-command sample storage. Internal transparency allows maximum team interaction as well as offering clients a look into the labs without access into the controlled environments.